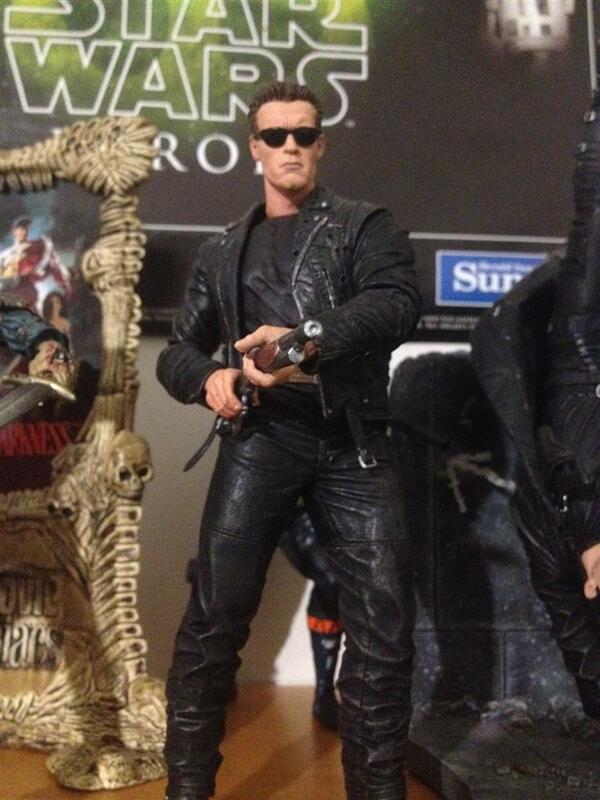 NECA T-800 collected in Figure Collection by Tayler Rowe - Collected It! Good ol' Arnie. Yes ladies and gentlemen, he certainly is BACK. The iconic cyborg from the future has gone back in time to land on your shelves, and my god does he look good! This version of the figure is from the classic scene in Terminator 2 when Arnie smuggles a shotgun in a box of roses and unleashes round after round into the un-stoppable T-1000. His leather jacket is riddled with countless amounts of bullet holes and his matching biker boots and pants show the wear and tear of what it takes to hunt down John Connor. The face's detail is 100% that of Arnold's, I seriously can't stress enough of how great this bad boy looks. I beg you, BUY THIS FIGURE!